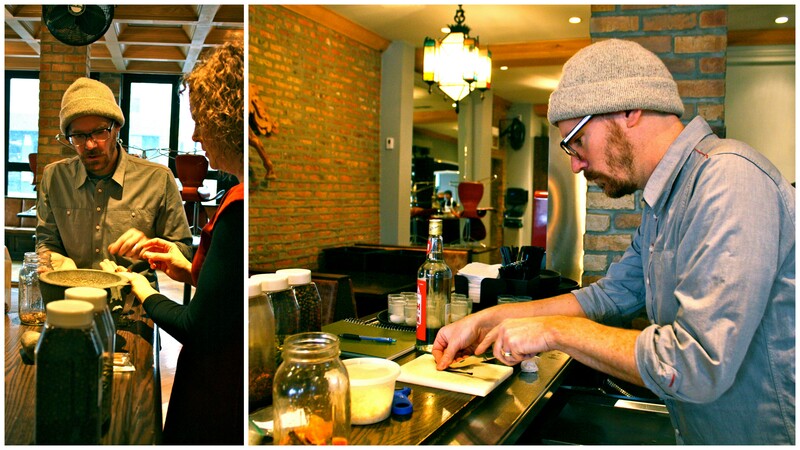 A few weeks ago, two of our front-of-the-house staff members — Georgina and Eric — were busy at the bar making house-made chai bitters. I was intrigued by what I imagined would be a heavenly smelling concoction, so I decided to stick around and snap a few shots to document the process … just in case I ever wanted to try this at home. 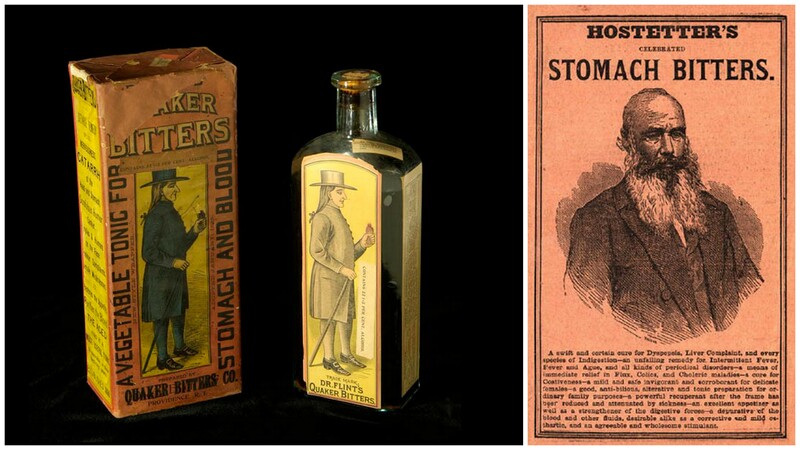 While bitters used to be marketed as medicines, today they’re used as flavorings in cocktails, as well as aperitifs and digestifs. 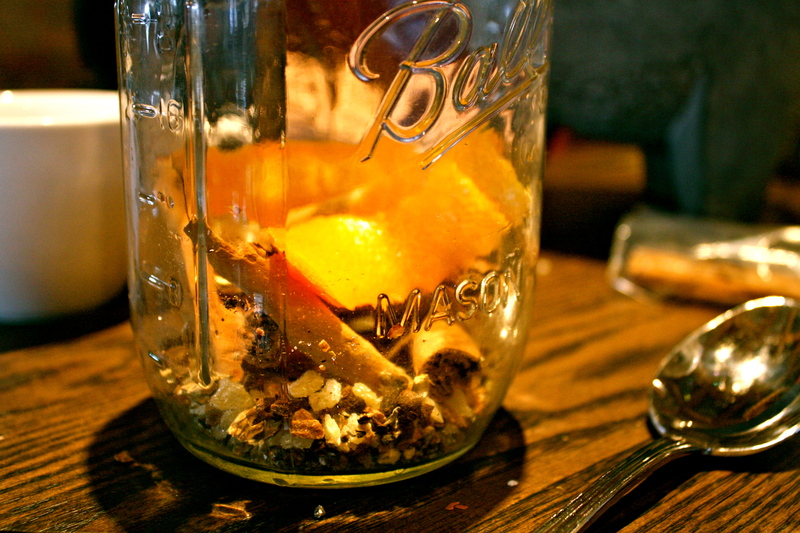 The bitters are prepared through infusion or distillation, using aromatic herbs, barks, roots and/or fruits, which are not only used to provide that bitter/bittersweet flavor but also for their natural stomach-soothing qualities. 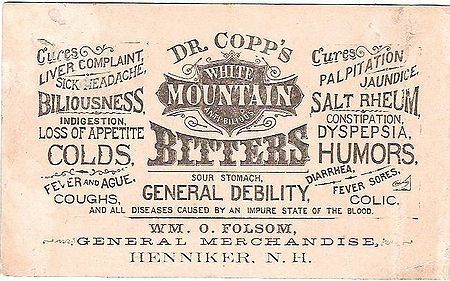 So even though we’ve come a long way from this … its general medicinal qualities have remained constant. Though there are numerous types of bitters, it seems nothing could be more comforting and warming during these cold winter months than chai bitters. 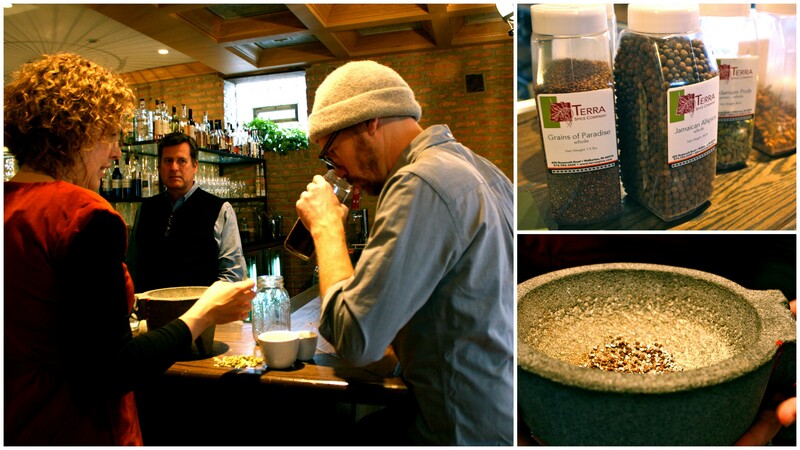 To start, Eric and Georgina used a mortar and pestle to grind several different types of spices, including: grains of paradise, Jamaican allspice and cardamom pods. 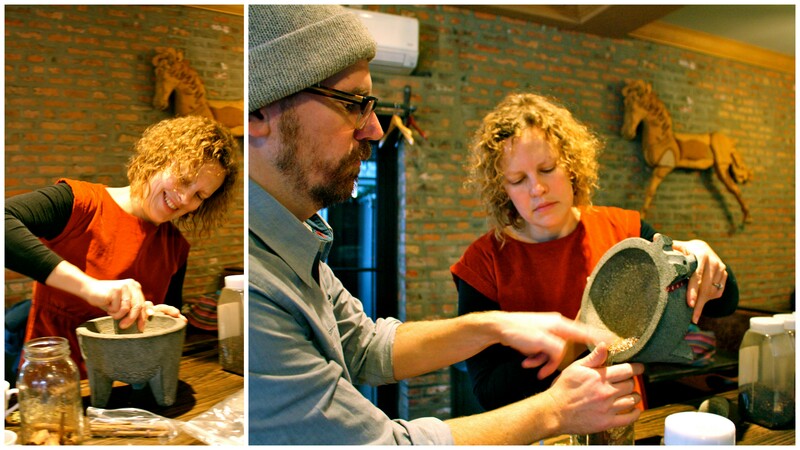 Here’s Georgina grinding the spices and then adding them to a jar already filled with some star anise, cloves, a few cinnamon sticks cracked in half and wormwood herb. 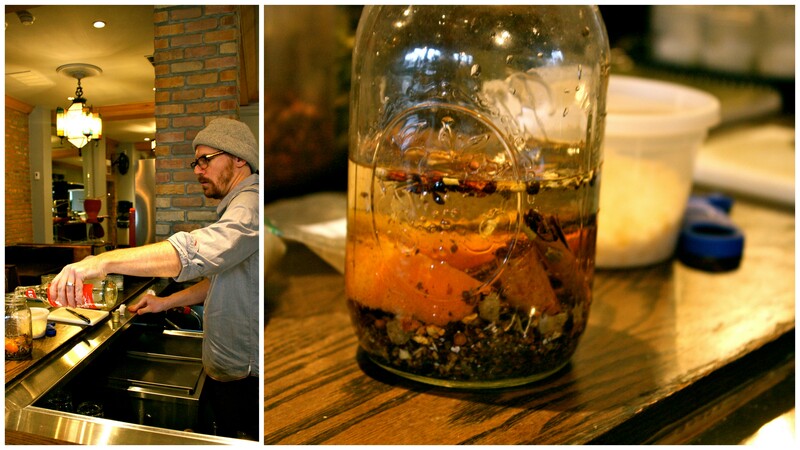 After that, Eric added a sliced vanilla bean, fresh orange peel and candied ginger. The vanilla provides a hint of sweetness while the orange peel gives it that natural bitterness. 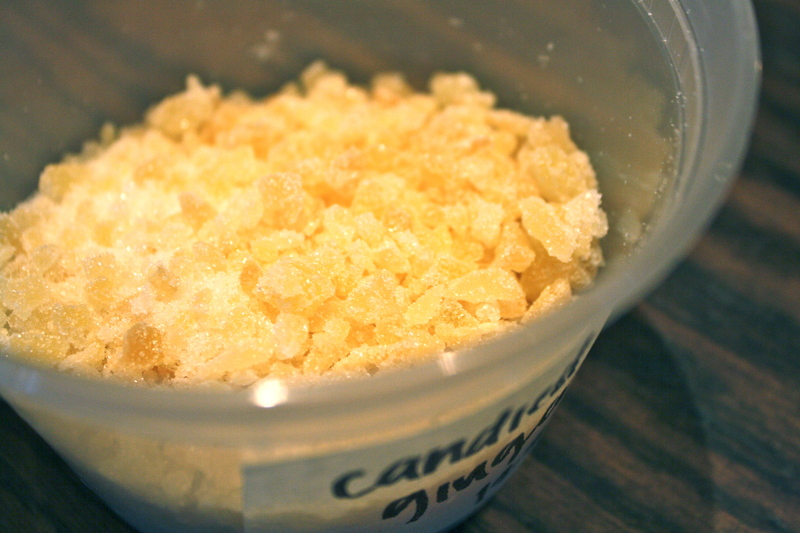 While the candied ginger also adds a certain level of sweetness (primarily because it’s candied! 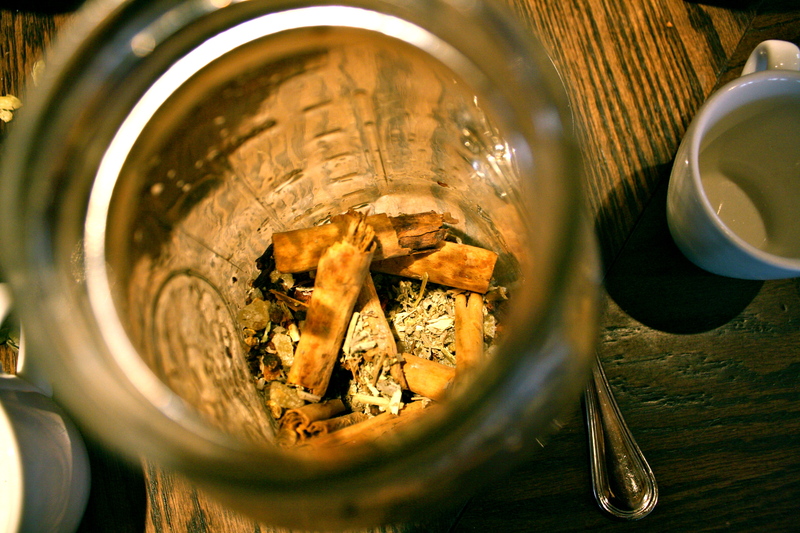 ), it has always been known for its soothing properties — particularly calming an upset stomach. Eric finished it off by adding a high strength rum; he said it would sit and infuse for a few weeks … and well … it’s definitely been a few weeks.